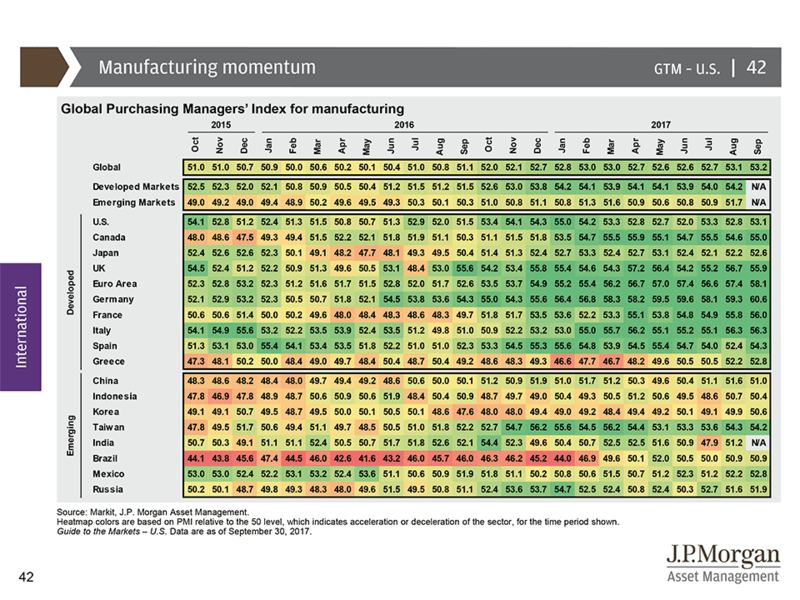 1) Manufacturing momentum – what you’re looking at is a chart that summarizes growth or decline in manufacturing around the globe. In a nutshell, Green is good and Red is bad. The most recent numbers are on the right side. AS you can see, the chart is getting more and more green the further to the right you go. A number below 50 would indicate a decline and there are no regions on the chart showing a decline in September. The takeaway here is that for the first time in a long time, the world is growing. This is positive for economies and for stocks, especially abroad which has had a tougher time coming out of the latest recession than the U.S. has. 2) Inflection points – What you see here is the relative performance of S&P 500 index in gray (representing US stocks) vs the MSCI All Country World ex-US (representing international stocks) over the past twenty years. What you can see is pretty similar performance up until the 2008-2009 crash. 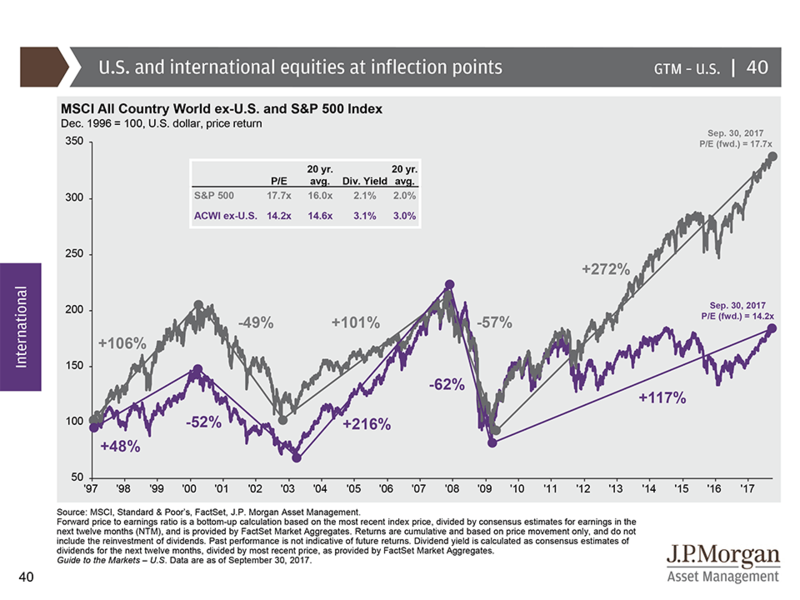 After that point, US stocks have grown dramatically while international stock rebounded but then tracked sideways for a number of years. They won’t necessarily catch up to the US performance-wise, but there could be room for them to run. 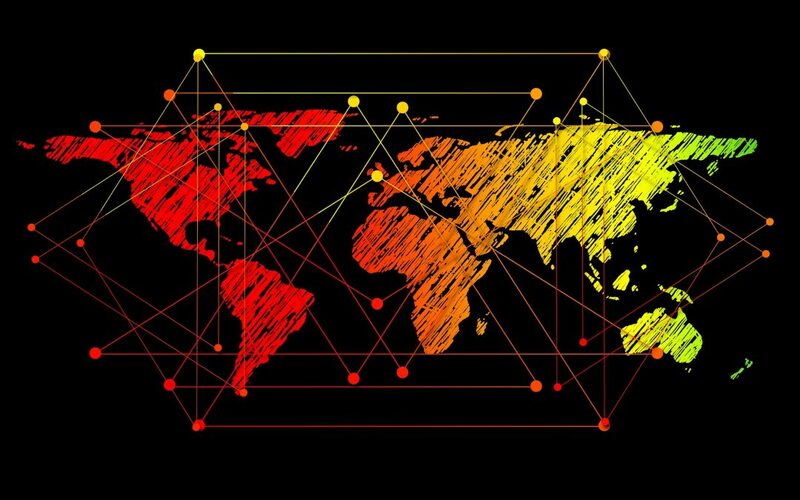 Every quarter, JP Morgan puts out the Guide to the Markets, which includes these and many more charts that can help you make sense of what’s going on the in the world. You can find the guide here.